Autograph Vol 2 Catalog : Beautifull 8 Printed Designer Partywear Kurtis By Manya.Latest Wholesale Kurtis Manya Autograph Vol 2 Full And Single Suit Catalog By Manya At Wholesale Price Surat. Tucute Vol 7 Catalog : Beautifull 8 Printed Designer Partywear Kurtis By Karma Trendz.Latest Wholesale Kurtis Karma Trendz Tucute Vol 7 Full And Single Suit Catalog By Karma Trendz At Wholesale Price Surat. Vol 6 Catalog : Beautifull 10 Printed Designer Partywear Kurtis By MJ Ayesha.Latest Wholesale Kurtis MJ Ayesha Vol 6 Full And Single Suit Catalog By MJ Ayesha At Wholesale Price Surat. Mandonna Vol 2 Catalog : Beautifull 10 Printed Designer Partywear Kurtis By Kajree Fashion.Latest Wholesale Kurtis Kajree Fashion Mandonna Vol 2 Full And Single Suit Catalog By Kajree Fashion At Wholesale Price Surat. Meraki Catalog : Beautifull 8 Printed Designer Partywear Kurtis By Zoya.Latest Wholesale Kurtis Zoya Meraki Full And Single Suit Catalog By Zoya At Wholesale Price Surat. NX Vol 4 Catalog : Beautifull 8 Printed Designer Partywear Kurtis By Mrigya Fiona.Latest Wholesale Kurtis Mrigya Fiona NX Vol 4 Full And Single Suit Catalog By Mrigya Fiona At Wholesale Price Surat. Budapest Catalog : Beautifull 7 Printed Designer Partywear Kurtis By Mughda.Latest Wholesale Kurtis Mughda Budapest Full And Single Suit Catalog By Mughda At Wholesale Price Surat. FD Vol 30 Catalog : Beautifull 10 Printed Designer Partywear Kurtis By FD Vol 30.Latest Wholesale Kurtis FD Vol 30 FD Vol 30 Full And Single Suit Catalog By FD Vol 30 At Wholesale Price Surat. Lily Vol 10 Catalog : Beautifull 12 Printed Designer Partywear Kurtis By Kajree Fashion .Latest Wholesale Kurtis Kajree Fashion Lily Vol 10 Full And Single Suit Catalog By Kajree Fashion At Wholesale Price Surat. Sanzh Catalog : Beautifull 6 Printed Designer Partywear Kurtis By VS Fashion .Latest Wholesale Kurtis VS Fashion Sanzh Full And Single Suit Catalog By VS Fashion At Wholesale Price Surat. Anaira Vol 1 Catalog : Beautifull 10 Printed Designer Partywear Kurtis By Shubh NX.Latest Wholesale Kurtis Shubh NX Anaira Vol 1 Full And Single Suit Catalog By Shubh NX At Wholesale Price Surat. Galaxy Catalog : Beautifull 8 Printed Designer Partywear Kurtis By MJ Fashion .Latest Wholesale Kurtis MJ Fashion Galaxy Full And Single Suit Catalog By MJ Fashion At Wholesale Price Surat. Lily Vol 10 Catalog : Beautifull 12 Printed Designer Partywear Kurtis By Kajree Fashion.Latest Wholesale Kurtis Kajree Fashion Lily Vol 10 Full And Single Suit Catalog By Kajree Fashion At Wholesale Price Surat. 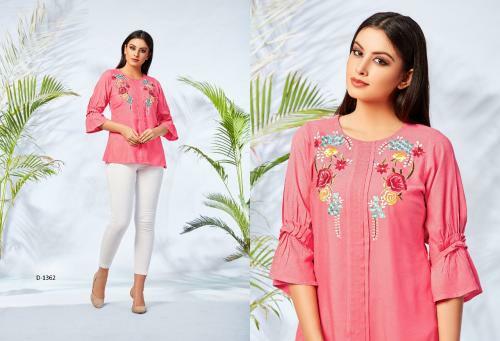 Sanzh Catalog : Beautifull 6 Printed Designer Partywear Kurtis By VS Fashion.Latest Wholesale Kurtis VS Fashion Sanzh Full And Single Suit Catalog By VS Fashion At Wholesale Price Surat. Anaira Vol 1 Catalog : Beautifull 10 Printed Designer Partywear Kurtis By Shubh NX .Latest Wholesale Kurtis Shubh NX Anaira Vol 1 Full And Single Suit Catalog By Shubh NX At Wholesale Price Surat. 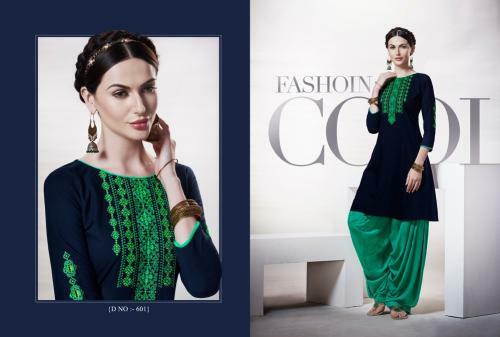 Galaxy Catalog : Beautifull 8 Printed Designer Partywear Kurtis By MJ Fashion.Latest Wholesale Kurtis MJ Fashion Galaxy Full And Single Suit Catalog By MJ Fashion At Wholesale Price Surat. Creation Catalog : Beautifull 4 Printed Designer Partywear Kurtis By Neeti.Latest Wholesale Kurtis Neeti Creation Full And Single Suit Catalog By Neeti At Wholesale Price Surat. Maira Catalog : Beautifull 8 Printed Designer Partywear Kurtis By MJ.Latest Wholesale Kurtis MJ Maira Full And Single Suit Catalog By MJ At Wholesale Price Surat.